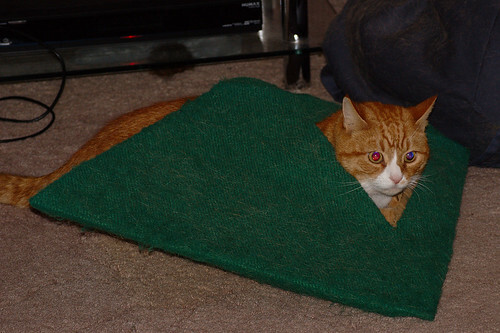 In lieu of content have a picture of the cat from back in November - the green thing is a pyramid. Well, a carpet covered bit of cardboard which was roughly pyramid shaped with a door (hole) in one side. Worth the ~£1.90 we paid for it, but not worth the original £10 that Focus were trying to sell it for.